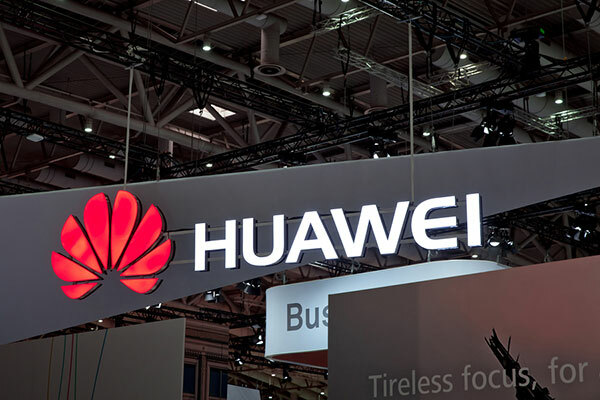 Huawei, a leading global provider of ICT infrastructure and smart devices, discussed and highlighted advancements in wireless communication at its 9th annual Global Mobile Broadband (MBB) Forum, which was held in London, UK. The three-day event concluded on November 21, and attracted more than 2,200 leaders and analysts from mobile telecom operators, vertical industries, and standards organisations around the world to explore the opportunities provided by the fifth generation of mobile technology, and also shared many insights and discussions on the topic ‘5G Inspiring the Future’. The event also provided the tech leader with a platform to showcase its own thoughts and plans on the future of wireless communication, said a statement. C-Level participation at this year’s forum was high, with a number of the industry’s most prominent executives sharing their thoughts, it said. Ken Hu, deputy chairman and rotating CEO of Huawei, announced in his opening keynote the shipment of Huawei's first 10,000 5G base stations, and outlined the company's vision for the future of 5G. “It will bring new power to all ICT technologies, and trigger sweeping changes in business. There will be new opportunities the likes of which we've never seen,” Hu said. Other key revelations from this year’s forum focused on technical development, cloud and virtualisation technologies, and the development of simplified interfaces that enable developers to easily deploy services. Empowered by 5G, Hu encouraged industry partners to adopt a fresh mind-set as they define new devices, develop new applications, and make new breakthroughs. He outlined the five fundamental changes that 5G will bring: seamless, ubiquitous, and limitless connectivity for all people and all things; always-on default connectivity; the emergence of massive computing power with instant transfer speeds and near-zero lag using cloud-based resources; redefining AI-support across all devices to help them interact in more natural ways; and experiencing a holistic and seamless online experience. “From all angles, 5G is ready,” Hu said. “It's ready to use, it's affordable, and most importantly, demand is real. Of course, there are still some barriers to 5G deployment,” he added. Also introduced at Global MBB was another forum - The GSMA Cloud AR/VR Forum – which is backed by Huawei. The forum represents an industry-wide call-to-action to encourage all parties to collaborate on accelerating the delivery and deployment of 5G cloud-based AR/VR services. The programme, which is endorsed by major players across the mobile space, encouraged the sector to work towards building open ecosystems that provide common interfaces across the end-to-end value chain. Doing so will allow the faster scalability of Cloud AR/VR services across different markets. “Both VR and AR are disruptive forms of immersive multimedia that, combined with operator edge cloud and 5G connectivity, will transform the cost structures of the enterprise and entertainment fields,” commented Alex Sinclair, Chief Technology Officer, GSMA. “Mobile operators will play a key role in its development, but without a common approach and industry-wide collaboration we risk fragmenting the market from the beginning. The establishment of this forum will overcome this hurdle and ensure we can scale compelling solutions faster,” he added. On the second day, David Wang, executive director of the board at Huawei, opened his keynote speech by explaining Huawei’s AI strategy for full-stack and all-scenario AI portfolio, which the company released in October. From the functionality of Huawei technology to different deployment scenarios for AI, Wang noted the importance of deep integration of AI with mobile networks to deliver a superior user experience, increase operating efficiency, and ultimately make autonomous driving mobile networks a reality. Autonomous driving networks go far beyond the innovation of a single product, and call for the innovation of system architecture and business models. He noted that all industry players must work together to clearly define standards and guide technological innovation and rollout. With the aim of improving service experience and operating efficiency, Wang proposed to build autonomous driving mobile networks step-by-step, from network planning and deployment, to operation and maintenance (O&M) optimisation and service provisioning. Complementing Wang’s insight, Huawei released a white paper outlining the seven key autonomous-driving scenarios and five key automation capabilities required in mobile networks to inspire the way towards autonomous driving networks.